Rep. Pluecker is serving his first term in the Maine House of Representatives. He serves on the Agriculture, Conservation, & Forestry Committee and the House Committee on Engrossed Bills. Pluecker is a small businessman and educator. He is a vegetable farmer and teaches farm apprentices everything from growing crops, marketing your business online, and how to operate a small business successfully. He obtained his Bachelor’s Degree from Pitzer College. He recently served on the Board of Trustee and Executive Committee of the First Universalist Church in Rockland. 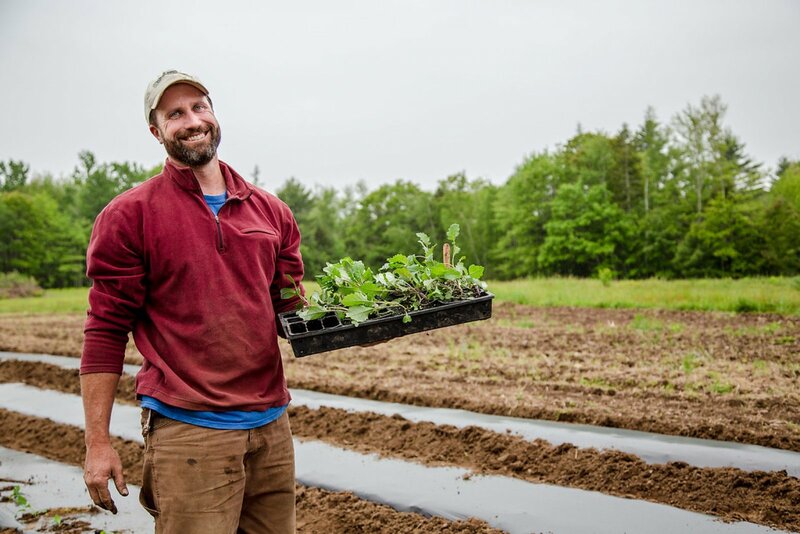 He has also been on the Public Policy Committee for the Maine Organic Farmers & Gardeners Association. Pluecker lives in Warren where together with his wife Reba Richardson they operate Hatchet Cove Farm. They have two children both in grade school. Bill enjoys wild harvesting food and being a good dad. In his spare time, Bill works with food shelters in Knox County to provide fresh produce. Rep. Pluecker serves on the Agriculture, Conservation and Forestry Committee. Matters That Are Handled By The Committee: Department of Agriculture, Food and Rural Resources; agricultural fairs, products and marketing; animal control and welfare; food safety, inspection and labeling; dairy industry; pesticides regulation; nutrient management; farmland preservation; Department of Conservation; state parks, historic sites, public lands, submerged lands and coastal islands registry; Maine Land Use Regulation Commission (LURC); geological surveying and mapping; forest management, marketing, utilization, health and fire control; the Land for Maine's Future Program; and Baxter State Park. For more information about Agriculture, Conservation and Forestry Committee hearings or to sign up for advance notice of public hearings click here. If you need help with an issue or have any questions, please email Representative Pluecker at William.Pluecker@Legislature.Maine.Gov. You may also call Representative Pluiecker’s State House phone: (207) 287-1315.